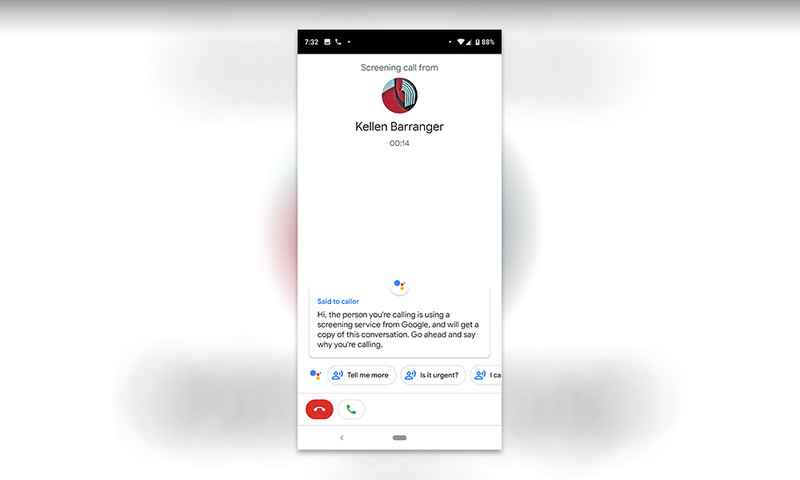 Google’s Call Screen, the spambot owning call screener that was introduced to the Pixel 3 and Pixel 3 XL, is now rolling out to the Pixel 2 and Pixel 2 XL in the latest Google Phone update. So not only do you now have dark mode, friends with Pixel 2, you get to troll-back to robocalls multiple times per day. Prepare for fun. Once you’ve updated, you’ll find settings for it within the Phone app, then in Settings>Call Screen. From there you can change the voice that callers here or walk through a quick demo to see how you’ll utilize its powers. Still not sure what Call Screen on Pixel is? OMG, let me explain! With Call Screen, when someone calls you, an optional “Screen Call” button will appear when an incoming call arrives. If you tap that button, the caller will get to talk to your Google Assistant and have to tell them who is calling and what they want. You’ll see all of that transcribed on the screen, live, while they are talking. If you would like to pick up the call at any time, you can, or you can keep pestering them with questions from Assistant, send them to spam, or tell them you’ll call back later. It’s pretty damn amazing. It appears to be slowly rolling out (we don’t have it yet on our Pixel 2 XL), so just keep an eye on your phone app over the next few days.